To be clear, God calls women to be submissive wives and keepers of the home, raising the next generation of godly children. There is no higher Biblical calling than to evangelize the children God entrusts in our care and to help grow them up in the Lord Jesus. These gifts from God will be our greatest treasures in heaven when the wood, hay and stubble of life is burned away, leaving the gold and silver of our time, energy and effort we have invested in our precious children. There also will be no greater heartache and regrets that comes when we are unfaithful with the little things God has given us to do in life, for it is our little things who become the loves of our lives, or the pain in our life. This does not mean that God is against all Christian women going to college, nor against them working, or even having a career. If a Christian is single, or without children, if she has raised her children in the Lord, she is free within the liberty God has given her to pursue her interests and to help provide for the family. Christian liberty applies to all areas where God’s Word is not clear or demanding on our lives. But when more than half the Christian women in our country are in the work force, leaving their children for days and days on end with unbelievers to raise them, this is not God’s will for most of them. It is time for us to reevaluate our priorities in our post-Christian culture that is tugging at our children from all sides, all the while our Christian mothers are distracted from their primary calling. If you choose to go to college, do so with eyes wide open strongly rejecting the philosophies of this world and the heavy feminist influence that has permeated even many of our Christian colleges. Even if you attend a Christian college such as Grace Christian University, don’t get trapped by college debt that will keep you from your priority of wife and mother as it makes a slave of you, forcing you to work during the most critical younger years where love and security are indelibly inked upon your children’s psyche. If you choose to work, try to work part-time, and see if you can’t have grandma, or some godly woman be a surrogate mom to your kids while you are away from home. Prayerfully ask the Lord to allow you to get home where you have been called when you have young children. The most frequent excuses for a Christian wife going to work when she has young children is that the family cannot afford to have her stay home. 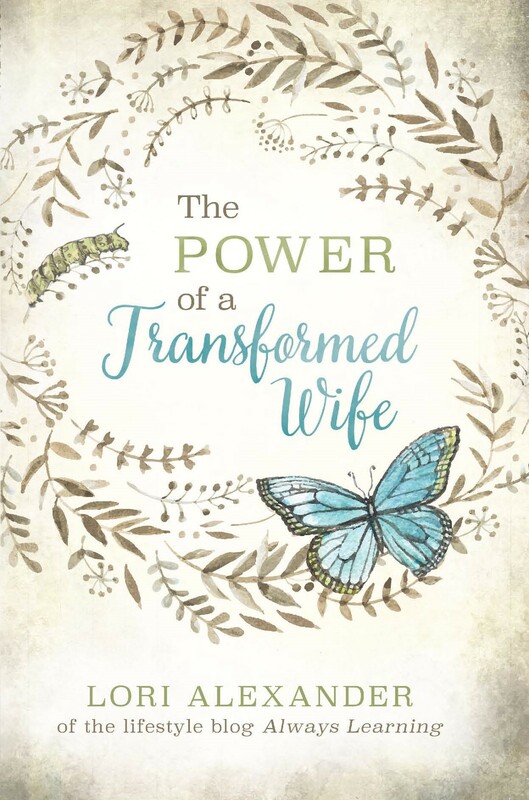 If we concede that there are times that a Christian wife may feel she must work, can we not also believe that the God who provides for all our needs will do so for those who faithfully trust Him at His Word? That if work is mandated for a time, it should be only for a short time with a view of getting Mom home with her children as soon as possible and as long as possible. 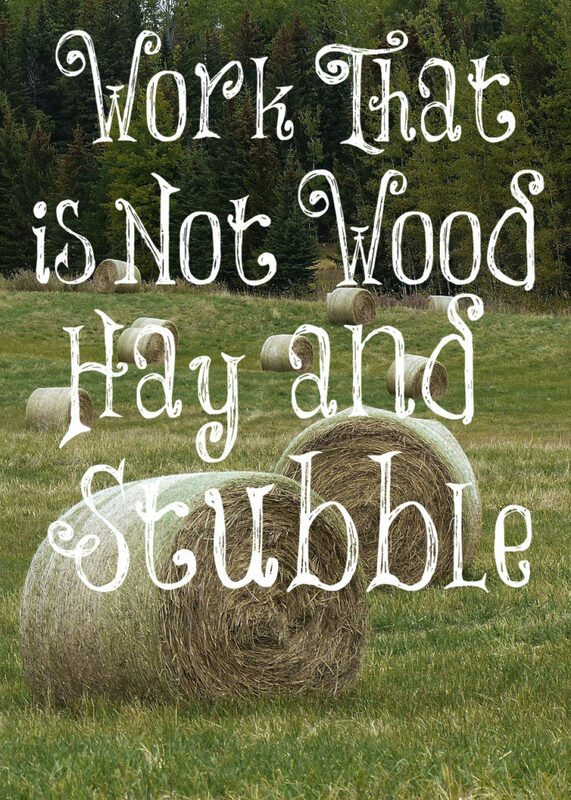 The bigger home, the 401K, the nicer vacations and the things of life are all wood, hay and stubble. There’s nothing wrong with them so long as they do not take away from your primary calling of being home raising your children in the Lord. Our churches have stopped placing God’s priority on our children preferring to take the unbiblical thinking that God will save the children He wants to save, and reject those He wants to reject. No, God makes us a promise that if we “Train up a child in the way he should go; even when he is old he will not depart from it“ (Proverbs 22:6). You are commanded to teach about God and His ways “diligently to your children, and talk of them when you sit in your house, and when you walk by the way, and when you lie down, and when you rise” (Deuteronomy 6:7). Who will teach them all the day long about the things of God if you are not there to do this important job? Raising the next generation of godly children is not a part-time job, but a never-ending job so long as our children are in our home. Not just with words, but actions and modeling for them what Jesus looks like living in and through the Believer. How can they see Jesus in a tired and weary mom who has no time to devote to her primary calling of the Lord? Will not the career mother by her very model of life be training her children that some things in life are more important than they are? More important than their eternal souls? More important than training them in the ways of the Lord? Life is not much more than a series of choices, good, bad, and neutral decisions made that result in a life well lived, or a life of regrets. I am all about choice, and desire that instead of just going along with the flow of society that chases pleasures and security and pride, that Christian couples everywhere consider what God has to say about the importance of the treasures God has entrusted us with. To some God has given one talent, others three, and yet others ten, and He expects a return on His investment (Matthew 25). If you think you can give Him His return while neglecting to invest first and foremost in your children, then you need to reconsider. I will not say that a Christian couple cannot raise wonderful godly children if mom works, but what I will say, is that too many are failing at their first calling, and the church and family is suffering because of it. Far too many Christian couples are playing Russian roulette with the souls of their children, and need to recognize that Christian liberty allows a wife and mother to work, but it may not be what is best for the family, or the family of God. There is theme that rings out clearly from the beginning to end of the Bible which says, “And I will be their God and they will be my people.” God is going about the business of creating a family of God who will love Him, serve Him and enjoy and glorify Him forever. Will you join God’s business and partner with Him in raising the next generation of godly children who then will raise their own in the Lord? Will you see that God’s purpose was to become a man so that He can fully and completely enjoy His sons and daughters of God full of love, joy, peace, patience and all of the qualities of God Himself? Whatever you do with your life apart from raising your children in the Lord can be very worthwhile in advancing the Kingdom and family of God, but is a far second to first raising your family in the Lord. Most of what we do apart from raising our family in the Lord is but wood, hay and stubble, compared to the gold of the faithful servant who takes care of the precious souls God has individually entrusted to us. Be faithful to your calling. Be true to God’s Word. And then with all the rest of your life live it within the liberty of Christ Jesus choosing to redeem the time, for the time here on earth is short indeed.